Looking forward to seeing you guys at the next market! We are celebrating 1year! Party, fiesta, together …. IT HAS BEEN ONE YEAR!! The time is here! 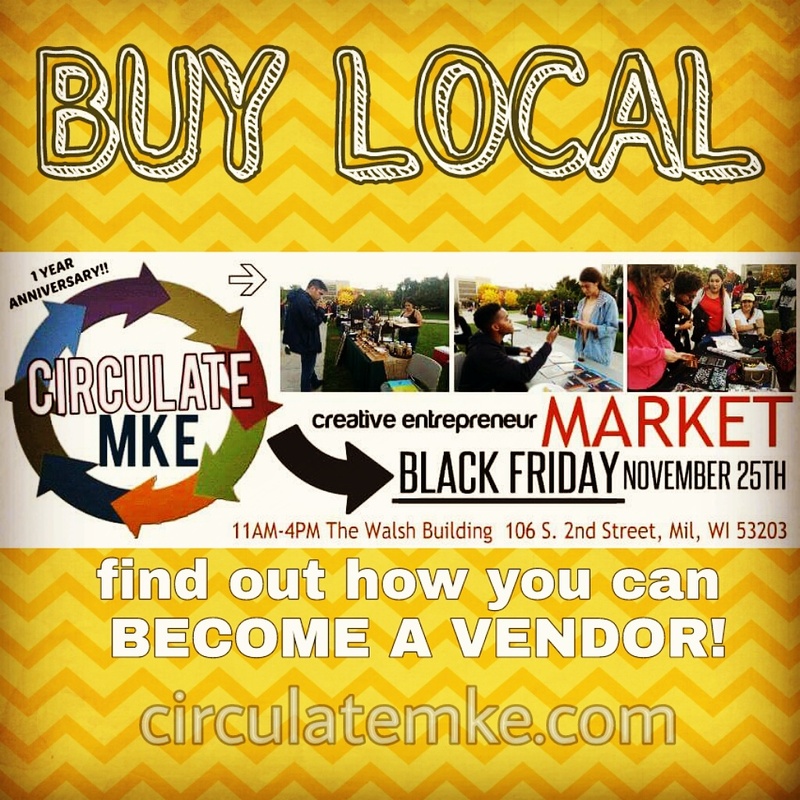 The next Circulate MKE Market on Friday, November 25th 2016 will be our 1 year anniversary and once again we will be providing an alternative shopping experience on Black Friday, the largest shopping day of the year. I would like to send a sincere “Thank you” to all of the creative’s who have been vendors with Circulate over the last year. Circulate vendors joined the fun at Marquette “Urban Expressions” campus event.